Another batch of one of my favorite beers is done! 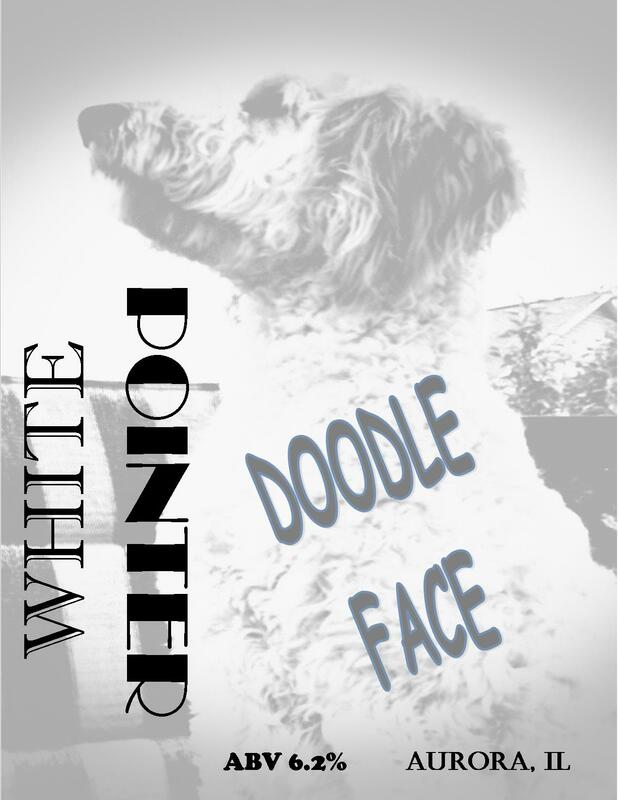 Doodle Face is a tribute to the White Pointer brewhouse Goldendoodle, Whiskey. Doodle face is a Citra hopped APA and I absolutely loved the last batch. 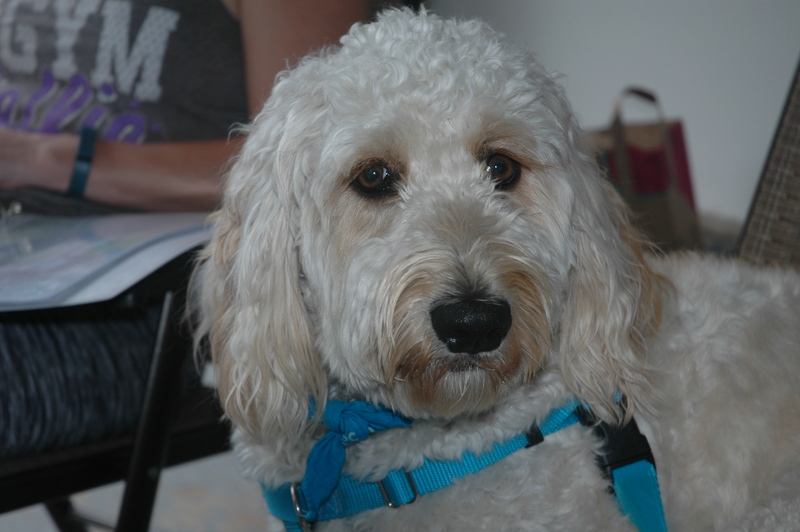 This one is just basically a full sized batch of my Doodle Face 2.0 recipe with a couple changes. The malt and hop bill are more or less the same as the last batch, just scaled up. This beer is almost entirely Citra, minus Warrior for bittering. My inspirations for this beers are Zombie Dust, Pseudo Sue, and Hill Farmstead Citra. As per usual, this beer isn’t a clone attempt at any of those, just where I drew some ideas from. I love Citra hops, and last time I brewed this beer it was just dripping with that citrus and slightly tropical flavor. I also really like the Golden Promise base in this beer, it adds a really nice bready base for the hops to play on. The wheat, oats, and carapils are all to help get that smooth, creamy body reminiscent of Hill Farmstead that I strive for in my pale ales. The first change comes from the yeast. I used Wyeast 1318 London Ale III in this batch vs the WLP 007 Dry English ale in the last one. If you’ve been reading this blog you know I’ve been pretty big on 1318 and Conan as two candidates as a house yeast. I figured 1318 would be better suited to this beer and would allow the Citra character to be the star of the show. I also went with what it becoming my standard pale ale water profile, going with a higher chloride to gypsum ratio once again with this batch since I’ve really enjoyed what it does for the mouthfeel. I loved the balance of this beer last time I brewed it, and the way the Golden Promise base and Citra hops played together was fantastic. The brew day for this beer was amazing. It was brewed on 07/26/15. 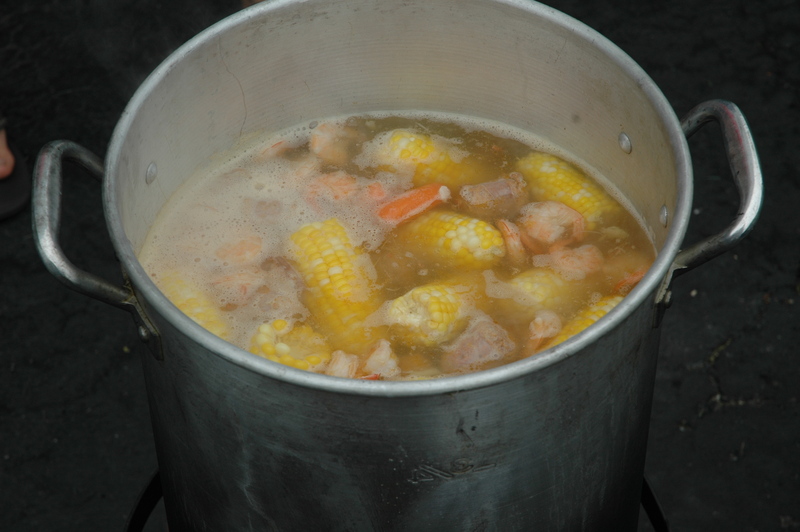 We had the neighbors over as usual, and our neighbors Jeremy and Sara did a shrimp boil alongside the beer. 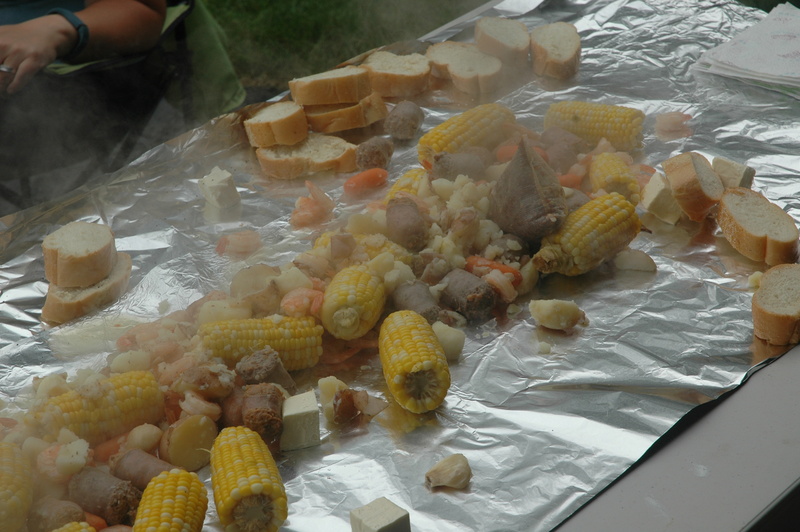 We used some Old Bay seasoning, shrimp, Italian sausage, potatoes, carrots, corn, and garlic clove. Good God it was fantastic! We times the shrimp boil to be done right as I was waiting for my hour long mash rest, so that was the perfect way to fill that time. The brew day also ended in a drunk dance party, so really there was no way it could have not been a great day. 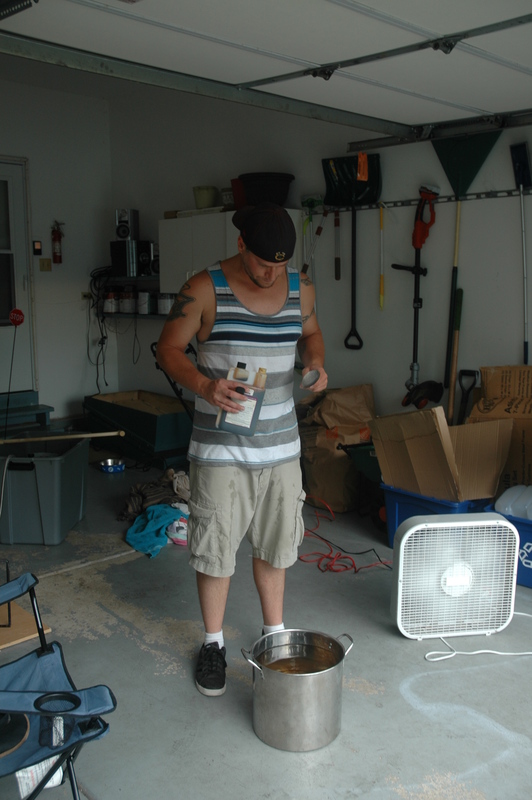 Despite the great food and revelry (I love that I just got to use that word), I was spot on in my brew game. I hit my numbers almost on the dot for everything. My OG came up just one point short at 1.056. I did a 30 minute massive hop stand on this beer, so the nose and flavor on this should be incredible. The shrimp boil! No, this was not in the beer. This is a pretty short post I realize, I just don’t have much new in this beer to elaborate on. I’m just trying to dial this one in, but there was so little from the last batch I’d change so I feel pretty confident in this one. This brew day was one of the most fun I’ve had though, so if the beer lives up to the fun I had brewing it, I’ll be thrilled! 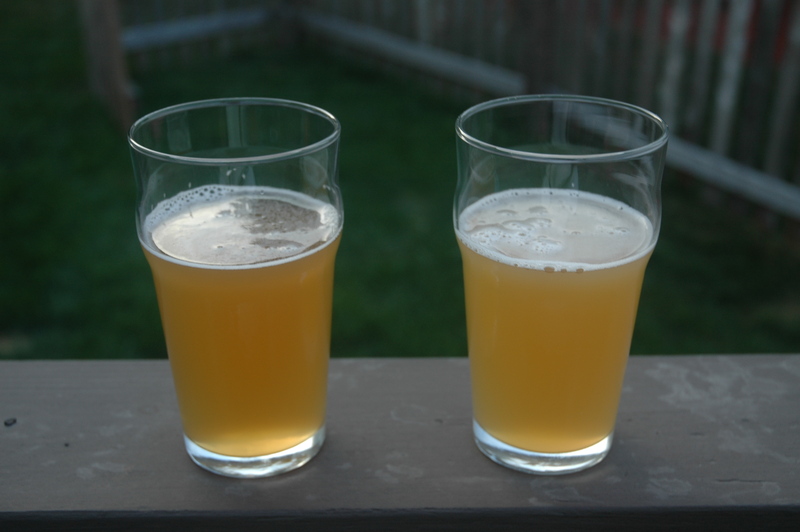 Update 08/08/15: This beer has been in the keg on a second round of dry hops for a couple days. I’ll remove those and start carbing this one tomorrow. The FG came in at 1.012, giving me an ABV of 5.8% for this batch. The sample was already fantastic! 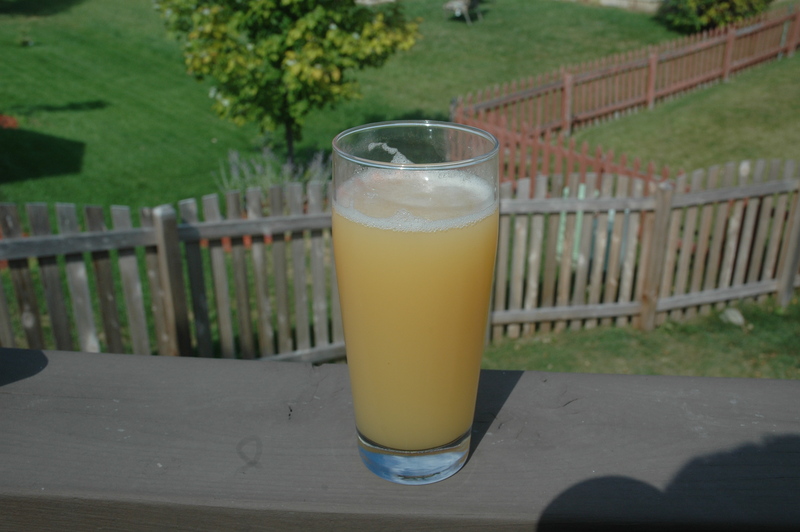 Appearance: This beer pours a golden/light orange color, and has the look of a glass of fruit juice! Its a beautiful hazy brew, and while some people may be off put by this murky beauty, I love the appearance of beers like this! The head sticks around nicely as well. Smell: Like putting your nose into a bag of Citra hops! Kegging did wonders for this beer! There’s tons of orange and grapefruit citrus aroma along with a bit of mango and passion fruit. There’s a slight fruity ester note from the yeast in the aroma as well that compliments the hops well. Taste: The bitterness on this one is pretty mild and is made softer by the roundness that the London Ale III yeast provides. The Citra flavor on this beer is huge! There’s tons of citrus flavor, as well as some tropical fruit like mango, passion fruit, and pineapple. The London Ale III really works well in this beer, and this just solidifies my intentions to use this as a house yeast of sorts. The Golden Promise malt lends some nice sweetness in the finish. Mouthfeel: I love what the combination of the London Ale, water chem, and grain bill does for this beers body. Its so smooth and juice-like. It drinks like a medium bodied beer with a dry finish, but the body is smooth and creamy. Overall: This is one of those beers that just makes you smile when you drink it. I’ll probably add another half pound of Golden Promise just to bump the ABV up to 6%, but that’s about it. There’s really nothing else I’d change about this one, its one of my favorites that I brew!